I want to share the news about two fun food events tomorrow: A Taste of Soquel and Charlie Hong Kong’s Kids Food Festival. More details are below. A Taste of Soquel: Saturday, Sept. 26, 11 a.m.-4 p.m. 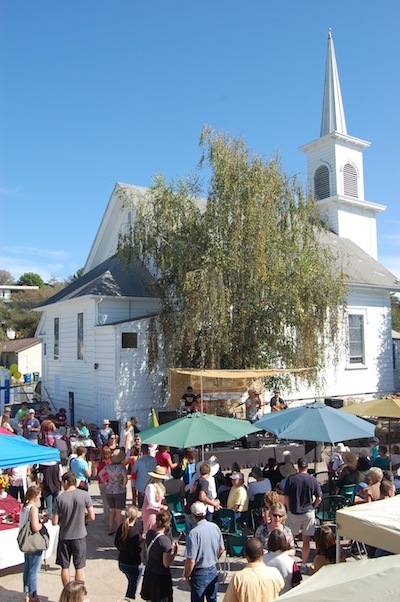 The seventh annual “A Taste of Soquel,” benefiting Second Harvest Food Bank, takes place in the courtyard of the Congregational Church of Soquel (4951 Soquel Drive). For the past seven years the event has provided over 28,000 healthy meals to families in need. Tickets are $25 for adults (includes music, food, wine) and $10 for youth 12-20 (includes music, food). Kids under 12 are free. Call 831-475-2867 for details. Advance tickets are available at the church or online. Attendees can enjoy food from restaurants and vendors such as Back Porch, Café Cruz, La Gioconda, Surf City Sandwich, Fogline Farm, Jeff Walls’ Family Honey, The Fish Lady, Aldo’s Bakery, and Sawasdee Thai Cuisine. There will be beer and wine from Discretion Brewing, Soquel Vineyards, Bargetto Winery, Hunter Hill Vineyard & Winery, Vino Cruz, Wargin Wines and Poetic Cellars. There will be lots of live music, including Nina Gerber & Chris Webster and the B Movie Kings. There will be coffee from the Ugly Mug, plus tea, lemonade, water, and more from The Bagelry and Donut Station. A kids’ area will feature free activities such as singing with Music Together, drumming with local musician Ibou, and crafts. More than 50 local businesses participate in the raffle, featuring prizes such as store and restaurant gift certificates. 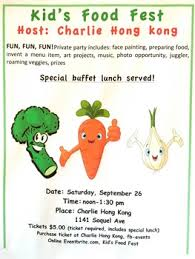 Charlie Hong Kong Kids Fest: Saturday, Sept. 26, Noon-1:30 p.m.
Charlie Hong Kong is hosting a kids festival at its restaurant (1141 Soquel Ave.). There will be face painting, cooking, photo opportunities, music, art projects, jugglers, prizes, and a special buffet lunch. The cost is $5 and you have to be accompanied by a child in order to attend. I want to share the news about two fun food events this weekend that benefit great causes: A Taste of Soquel Saturday (late morning through the afternoon) and Santa Cruz Mountain Brewing’s Sausagefest Sunday afternoon. More details are below; remember that Saturday is also the always-wonderful festival “Gourmet Grazing” that benefits Santa Cruz Cancer Benefit Group. Read details in my Sept. 11 article. A Taste of Soquel: Saturday, Sept. 27, 11 a.m.-4 p.m. 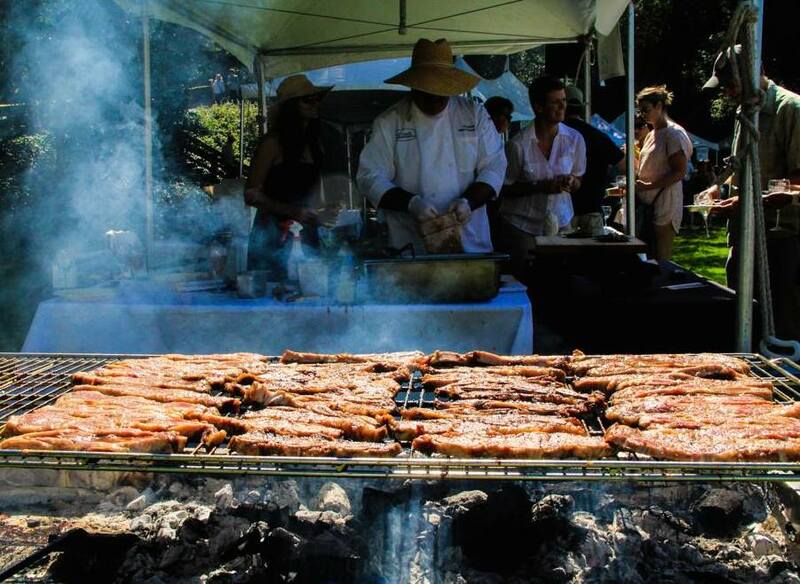 The sixth annual “A Taste of Soquel,” benefiting Second Harvest Food Bank, takes place in the courtyard of the Congregational Church of Soquel (4951 Soquel Drive). The theme is “Food & Music for the Common Good.” Read more about the Food Bank at thefoodbank.org. There will also be coffee from the Ugly Mug, plus tea, lemonade, water, and more from The Bagelry and Donut Station. A kids’ area will feature free activities such as miniature golf, crafts, and dancing. More than 60 local businesses participate in the raffle, featuring prizes such as Weber BBQs from Home Depot; gift certificates from Tortilla Flats, El Chipotle, The Little People’s Store, and Safeway; and a produce basket from Everett Family Farm. Tickets are $25 for adults (includes music, food, wine) and $10 for youth 12-20 (includes music, food). Kids under 12 are free. Call 831-475-2867 or see ccsoquel.org for details. Advance tickets are available at the church or at www.brownpapertickets.com. Santa Cruz Mountain Brewing’s Sausagefest: Sunday, Sept. 28, 1-4 p.m.
Santa Cruz Mountain Brewing is hosting the 8th annual Sausagefest which includes sausage from vendors el Salchichero, Freedom Meats and Corralitos Market, and homemade sauerkrauts, relishes, pickles, and mustards. Additional food will be available from vendors including Buttercup Cakes, Penny Ice Creamery, Companion Bakeshop, and Firely Coffee House. 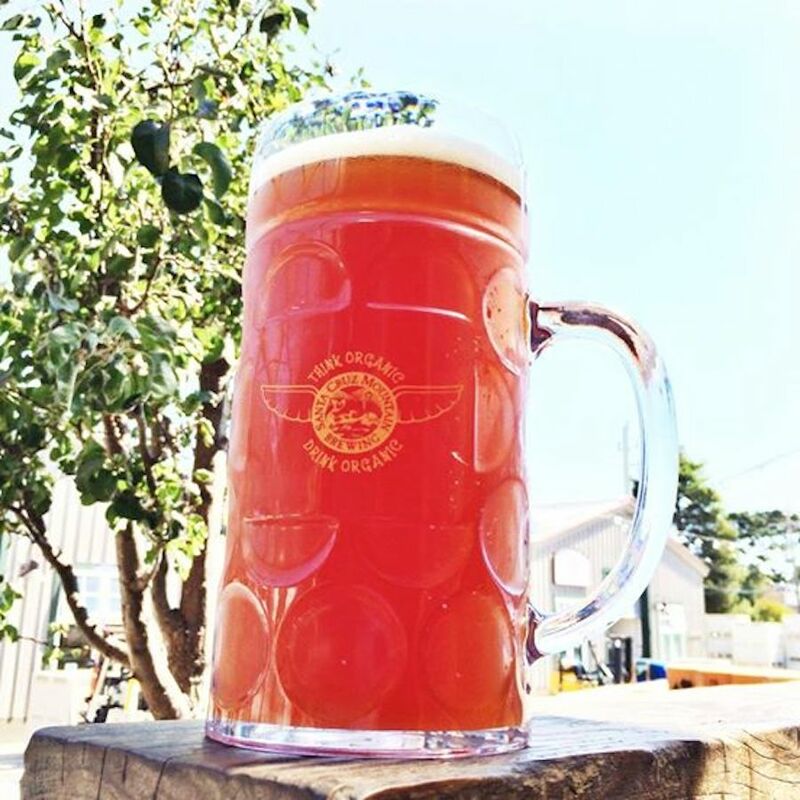 There will also be lots of organic ale from SCMB, plus beverages from locals including Santa Cruz Cider Co., Uncommon Brewers, and Hallcrest Vineyards. San Francisco punk/polka band Polkacide is performing for the second consecutive year. The festival has an admission fee of $10 for adults and teens, and it’s free for kids under 12. Food and beverages will be for sale; event proceeds benefit Friends of Santa Cruz Parks. There will be “Radical Redwood Rootbeer” and other non-alcoholic drinks, and some kids’ activities. Buy tickets at the SCMB taproom, Discretion Brewing, 99 Bottles of Beer, or online at eventbrite.com. Doors open at 12:30pm and the event is at the location of the Westside Farmers Market at the corner of Mission Street Extension and Western Drive. Call 831-425-4900 or see scmbrew.com for details. The fifth annual “A Taste of Soquel,” with delicious food from local restaurants plus local beer and wine, will benefit Second Harvest Food Bank. The event is Saturday September 28 from 11a.m.-4p.m. at the Congregational Church of Soquel (the Church and the Capitola/Soquel Chamber of Commerce are co-sponsors). Local restaurants, wineries, breweries and musicians come together to throw a party for a very worthy cause. With a $25 admission, adults receive a souvenir glass as well as food and wine tastings at festival booths. Buy tickets online or at the event. Attendees ages 12-20 pay $10 and receive food booth tastings. Kids under 12 are free. There will also be live music all day emceed by KPIG DJ Ralph Anybody—see schedule below—and a raffle with prizes from more than 60 local businesses. For more information see event web site. Participating Soquel restaurants and food businesses are Aldo’s Bakery, Café Cruz, Carpo’s, Cherryvale Farms, D’Anna’s Deli, The Fish Lady, Fogline Farm, Jeff Wall’s Family Honey, Main Street Garden & Café, and Sawasdee. Participating local breweries and wineries are Discretion Brewing, Bargetto Winery, Hunter Hill Vineyard & Winery, and Poetic Cellars. There will be children’s activities such as miniature golf, other games, crafts, and dancing. A hospitality table is serving up complimentary coffee from Ugly Mug, tea, lemonade, ice water, and food from the Bagelry and Donut Station.